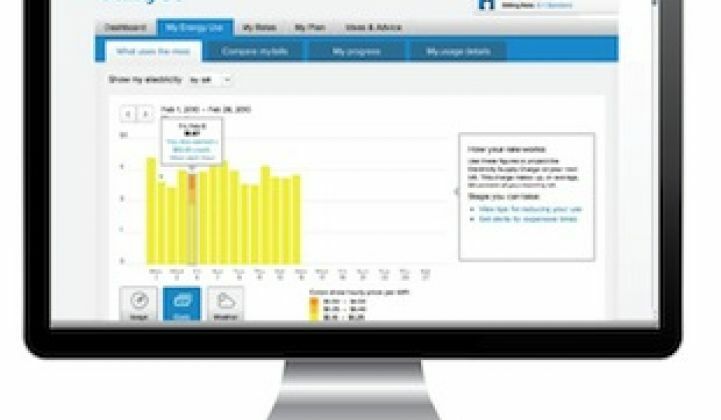 Is Opower About to Reinvent Residential Demand Response? The company says “behavioral” demand response is going to change the nascent market. By giving consumers basic information on how their energy use compares to other homes around the neighborhood, Opower has found that people respond by reducing consumption. And it seems to be working as a business strategy. 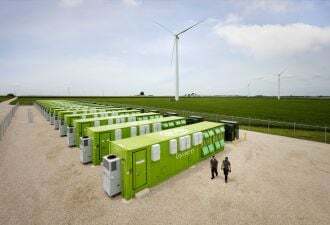 Since 2007, the company had signed deals with 85 utilities and claims to have saved over 2 terawatt-hours of electricity simply by sending out paper and web-based notices to customers. Now Opower is adding a much broader and more dynamic experiment to the mix: behavioral demand response. The offering is based on the same philosophy that is behind its home energy reports. 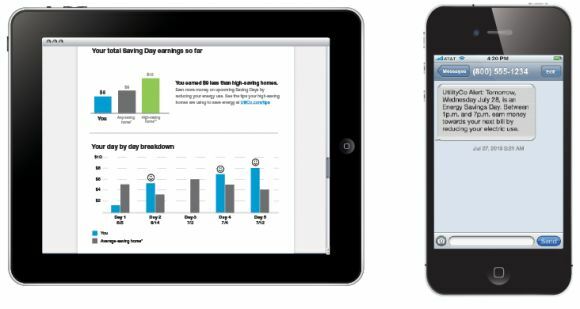 By crunching vast streams of smart meter data, Opower can send customized signals to consumers through email, text and phone to alert them about peak demand. It's a simple communications concept driven by complex back-end analysis of consumer consumption data. This morning, Opower announced a partnership with Baltimore Gas and Electric to deploy behavioral demand response. Roderick Morris, Opower's senior vice president of marketing, said the company will send out 40 million communications over a three-year period of time in BGE's service territory. This summer, Opower engaged BGE customers in three demand response events. Morris wouldn't reveal the exact results, but he said it was "successful," and led the company to believe that if scaled to a national level, it could expand residential demand response twenty-fold and reduce the per-kilowatt cost by 40 percent. "We feel like we're reinventing the market here," said Morris. "Through this multi-channel strategy, we think we can hit all the homes in BGE's service territory by 2015. And we can do this by not installing any hardware at all." To be realistic, it wouldn't take much to "reinvent" residential demand response at this point. These programs have historically suffered from a chronic lack of participation. Even though homes can represent a majority of electricity use in some utility service territories during peak times, it's hard to get people to care enough about reducing their loads to help the grid. A 2009 report from the Federal Energy Regulatory Commission concluded that under a business-as-usual scenario in the sector, utilities would only be able to leverage 5 percent of their residential customers for demand response by 2019. But that was four years ago. Business as usual in residential demand response is looking much different in 2013 as numerous companies attempt to reinvent or reinvigorate the market. Cable companies like Comcast, home security firms like Vivint, tech startups like Nest Labs, and traditional energy firms like Comverge, Honeywell and Schneider Electric are all building out smart thermostats and forming partnerships with utilities to build new services for consumers. This hardware-based strategy appears to be yielding results. For example, during one of its first major demand response events in Austin Energy's service territory this summer, Nest Labs reported an 89 percent participation rate -- resulting in a 56 percent reduction in air conditioning use. Utilities are responding by creating new thermostat-centric programs. Opower is developing its own smart thermostat in partnership with Honeywell. But the company thinks it can get even higher levels of customer participation by eliminating the need for equipment entirely. "We think going beyond the device-centric mindset will expand engagement," said Morris. "We wouldn't be talking about this pilot if we weren't getting great results." Morris wouldn't disclose the exact results within BGE territory, but said the company was convinced it was scalable. And although he wouldn't comment on Opower's plans to work with other utilities, Morris hinted at coming future rollouts. "We think there's enough information to show this is game-changing," said Morris. "Behavioral demand response gives us the ability to engage any service territory anywhere instantly, turning entire cities into virtual peaking power plants." Opower's Behavioral Demand Response Solution: The Customer Journey from Opower on Vimeo.